Today is the first day of the Lunar New Year, the year of the water snake. It has been raining for the whole day and the team was worried it will continue to rain during our fieldtrip session in the evening. I started out the fieldtrip slightly different today. 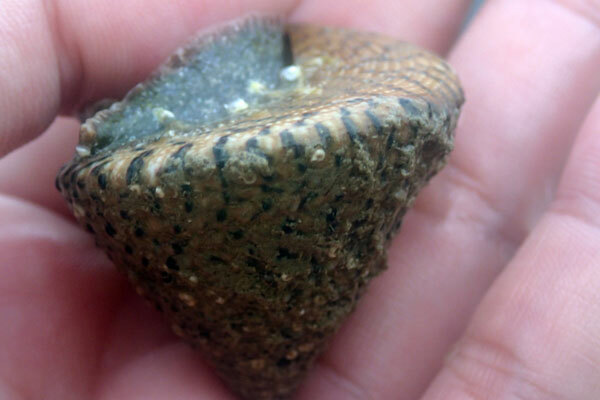 Instead of heading straight to the lagoon, I went to check out the crinoids with Kok Sheng first. 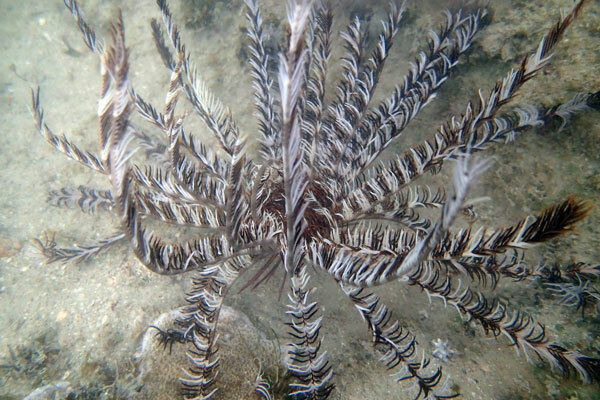 We saw many pretty crinoids of various size and colours. 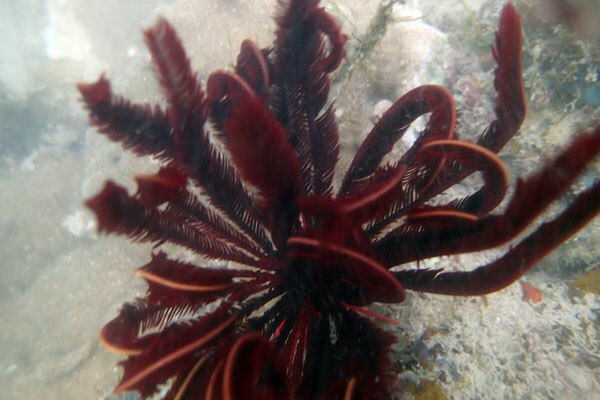 Nearby the crinoids there was a colony of bubble tip anemone (Entacmaea quadricolor). I didn't notice the anemone shrimp until I looked at my photos at home. 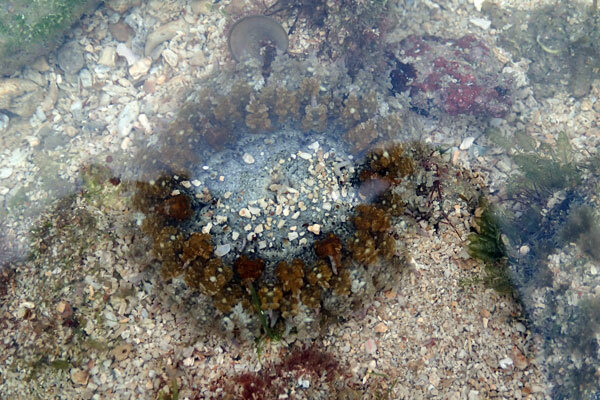 Can you find the anemone shrimp? 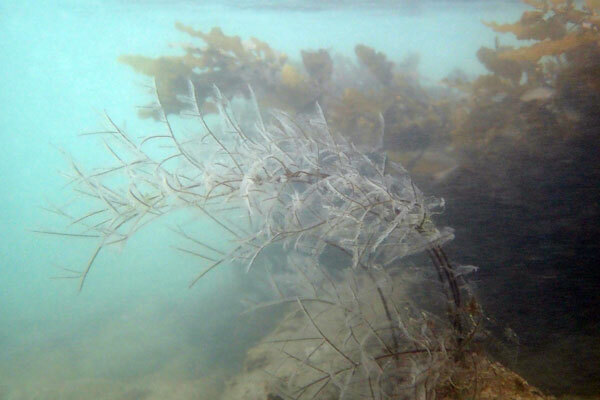 The underwater reef is pretty with the hydroids, but beware as the hydroids stings and they leave nasty marks. 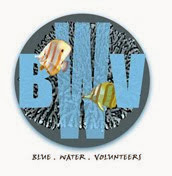 In the big lagoon, the team found many interesting critters in the shallow reef. Oh what is this suspicious cone-shape snail moving very slowly on the rock? 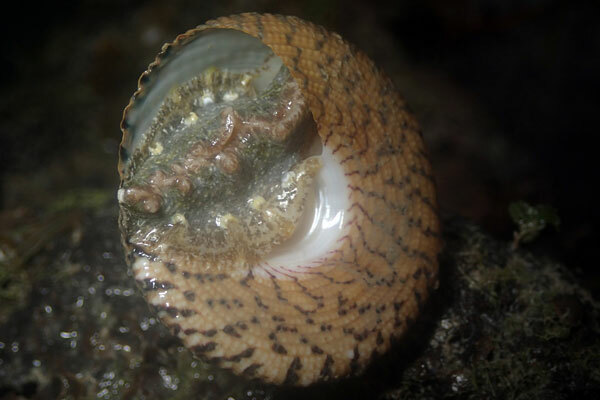 It is a giant top shell snail (Trochus niloticus) and it tried crawl on my fingers while I was holding it to examine. 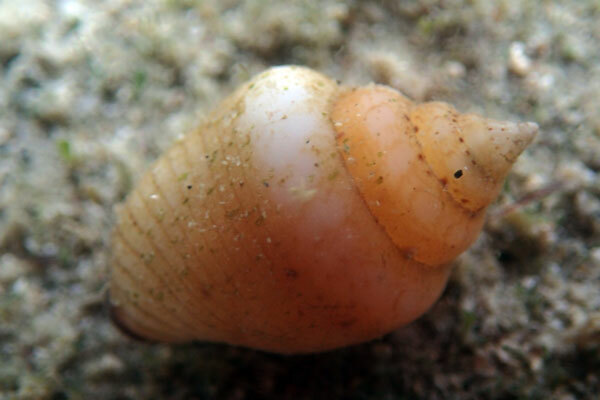 The sargassum seaweeds are still around and there are many dotted dove snails (Euplica scripta) around, probably feeding on the algae growing on the sargassum. Hurray! 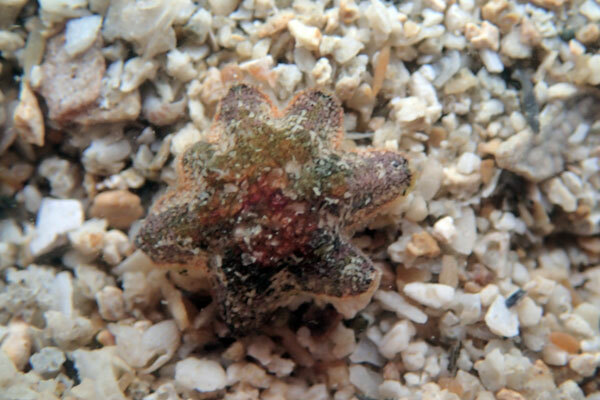 Chay Hoon found a tiny seven-armed coral star. 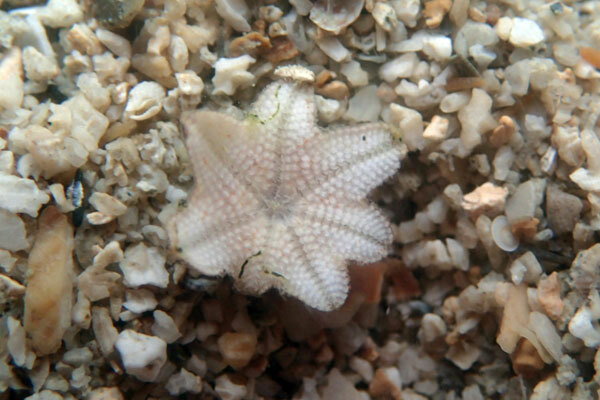 Looking at its size compared the the grains of the substrate, the sea star is really very tiny. If it was me, I would have definitely missed it easily. 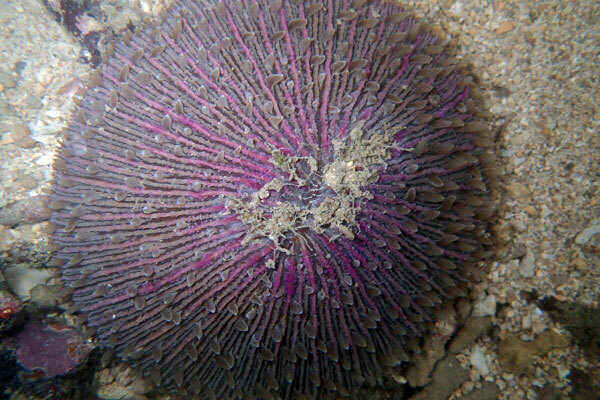 I saw a few mushroom coral and some of them are showing pink colouration. 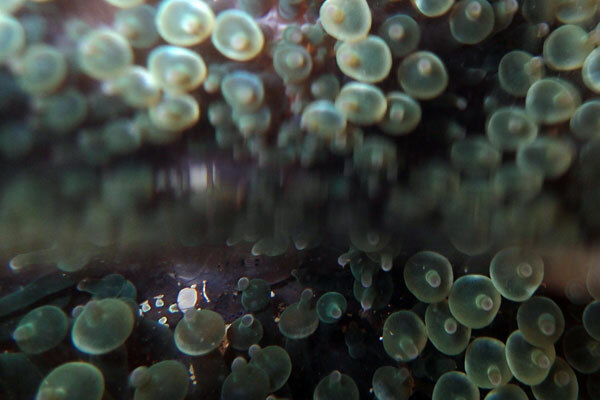 It could be signs of stress for the mushroom coral colony. There are many frilly anemone of various colours. 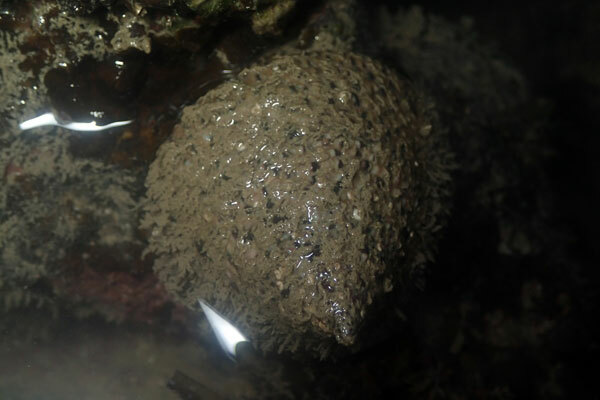 I saw one being disturbed by a red egg crab (Atergatis integerrimus) as it was getting in its pathway. 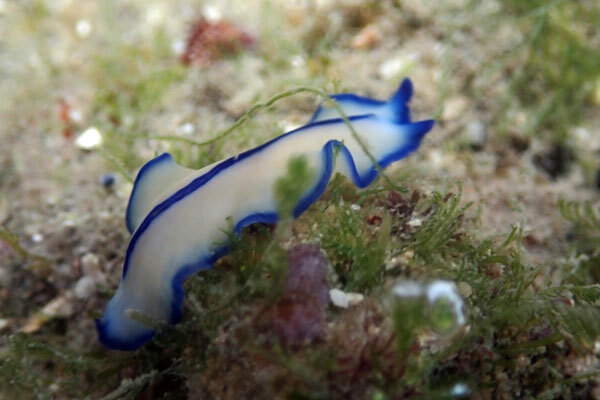 Chay Hoon also found a Chromodoris fidelis nudibranch. 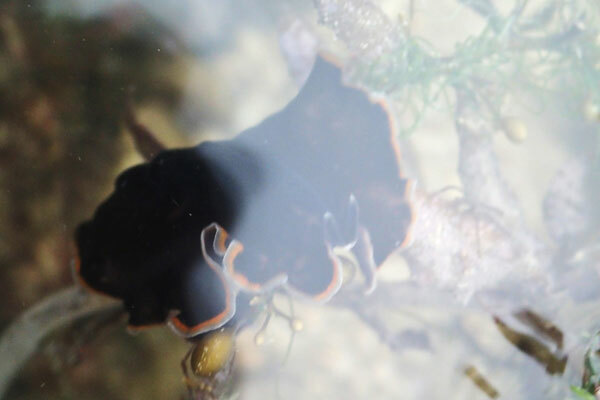 This is my first time seeing this nudibranch on our shores and also my first time seeing it on intertidal. 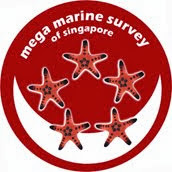 However I have seen it in Indonesia when diving. 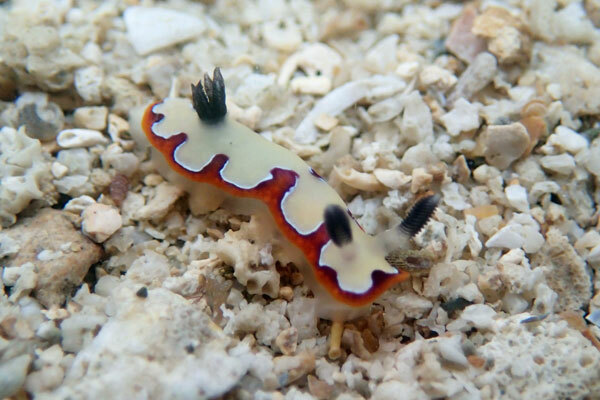 Here's a video I recorded of the nudibranch (video recorded in supermacro mode on Olympus TG-1). There were a total of three different flatworms seen on this trip, each of them with video. One of the flatworms seen seems to be new to the intertidal record. 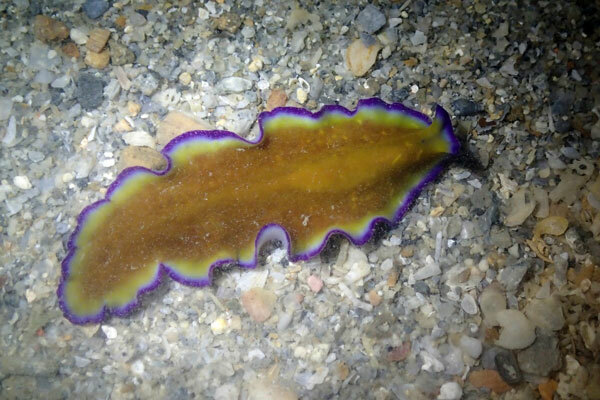 New flatworm sighting. Identity is unknown at the moment. It was a great fieldtrip with very mild drizzle towards the end of the trip.